What an enjoyable and successful night that was! 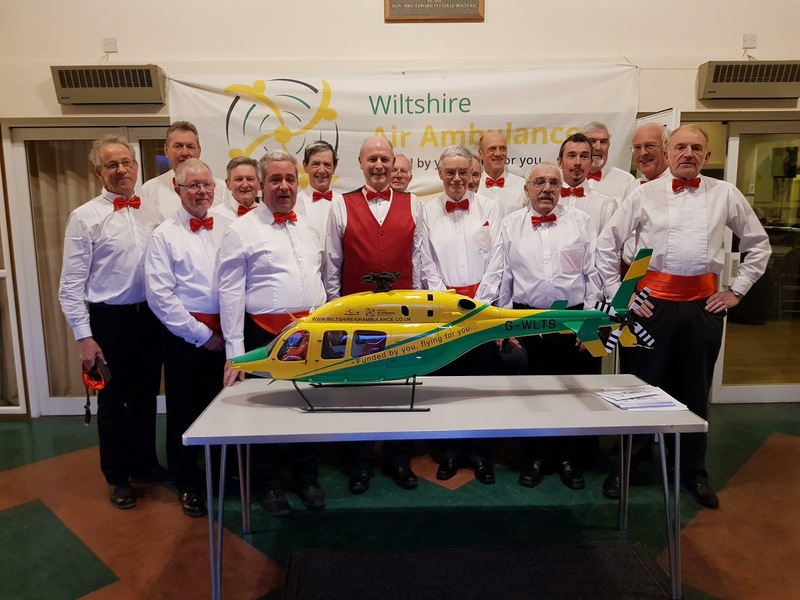 - an eclectic dance through the generations of talent available in but one Wiltshire village - that not only fulfilled the evening's purpose to entertain but also raised a four figure sum for PMVC's adopted charity, the Wilts Air Ambulance. From the opening set where the audience were charmed by the ukulele, drumming and singing skills of pupils from Pewsey Vale School and their teacher Mrs Segue du Toit, through the tight, complex and soulful songs of Nick & Sam Taylor with Zak Messenger to the accomplished guitar/ vocals of Paul Darby, the musical spectrum in first half of the concert was a joy to behold. All delightfully counterpointed by recitations and dulcimer solos from members of Pewsey Vale Amateur Dramatic Society (PVADS), interspersed with compere Paul Hornbogen's tributes to the Emerald Isle following their grand slam exploits on their own Saint's day. 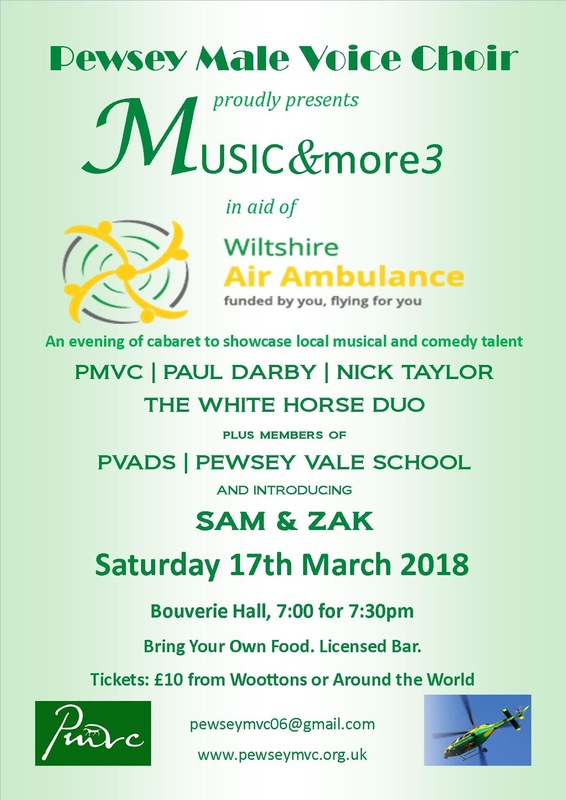 While the snowfall outside got heavier, the second half saw a packed Bouverie Hall treated to a special PVADS performance of their latest one act play The Accident followed by the musical excellence of The White Horse Duo who closed by getting everyone to join them in Que Sera Sera. We rounded things off ourselves with four part arrangements of The House of the Rising Sun, He Ain't Heavy He's My Brother, You Raise Me Up, Bohemian Rhapsody and Speed Your Journey before closing with Blake's Jerusalem.